Hoy os traigo una nueva entrevista a Steven Saylor, publicada hoy día 11 de julio en el Blog XXSiglos. Y aquí en mi Blog os dejo la entrevista en inglés, cortesía tanto de David Yagüe (20 Minutos) como del propio autor. After ten years and three prequels of Gordianus, you return to the main story of Roma Sub-Rosa with The Throne of Caesar. Why have you waited for this novel so long time? Has “The Ides of March” been an special challenge for a historical fiction writer? After The Triumph of Caesar, the next logical step in the series, the next big event, was the assassination of Julius Caesar—but how could I write a murder mystery about one of the most famous murders in history? I did not have an answer yet, so I turned to something I had wanted to do for a long time, which was to take the young Gordianus to see the Seven Wonders of the World. After that prequel, The Seven Wonders, I stayed with young Gordianus for two more prequels, Raiders of the Nile and The Wrath of the Furies. Then I had a new book contract and my American editor said, “it’s time to write that Ides of March novel!” And at the same time, an American Classicist names James O’Hara whispered a single word in my ear and gave me the idea of how to write the book—a secret plot that would run through the novel, even as I wrote a thriller about Caesar’s assassination. And so I finally wrote The Throne of Caesar, which I call the capstone of the Gordianus series—perhaps the final novel of the series. 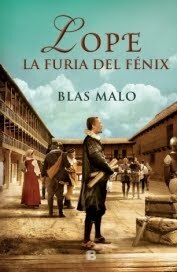 Do you know when this novel will be published in Spain? 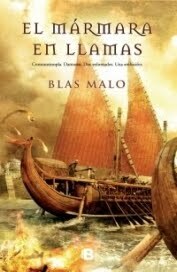 Like my most recent novels, The Throne of Caesar will be published in Spain by Los Esfera de los Libros next November. 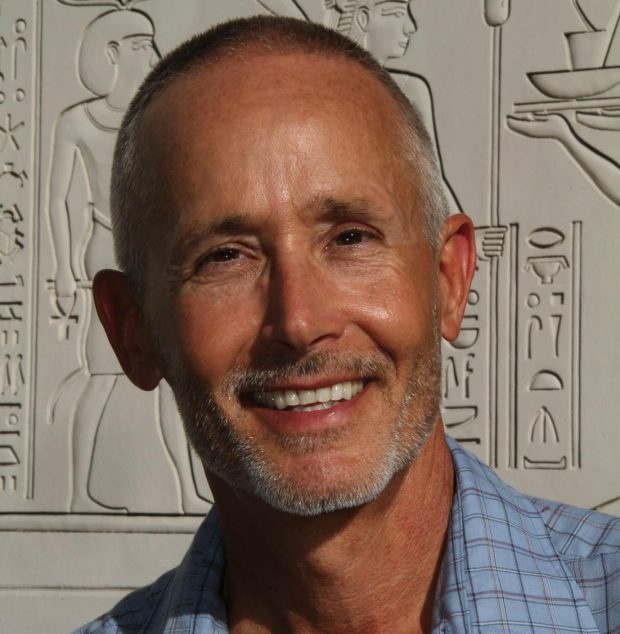 After so many years, novels and tales, Who is Gordianus for Steven Saylor? The two of us have grown old together. At first I was older—in the first novel, Roman Blood, he is about thirty and I was about thirty-five when I wrote it. Then in the novels that followed, he grew older faster than I did, so he gave me a preview of what might come—that is to say, I had to imagine what it would be like to become slower, more cautious, more weary of the wicked ways of the world, but also, perhaps, a bit wiser. When I wrote the first prequel, The Seven Wonders, I had the opposite challenge—to think back and find the voice of a 17-year-old Roman youth, when I myself had reached my fifties. I rather enjoyed being 17 again! So Gordianus has been my alter-ego—not only my imaginary life as an ancient Rome, but an exploration of the various stages of my own life. I don’t think of Gordianus as a person separate from myself. Perhaps I should do an interview with him. But would Gordianus ask questions of me, or would I ask questions of him? 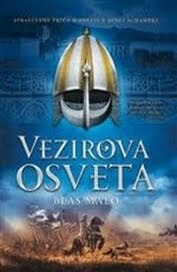 Your novels show a very deep knowledge about ancient world, Do you think that historical fiction writer have more responsibilities with the reader than others who write fantasy or contemporary fiction? Absolutely. There is never a good reason to deliberately falsify history simply to create a story. And there is no excuse for being careless with research, especially when writing about ancient Rome, where the historical material is so abundant. There is a bond of trust between the reader of historical fiction and the author. I take that responsibility seriously. Is historical fiction an educational genre? It should be. I hope that readers of my novels have a better understanding of the ancient world because they have read my books. 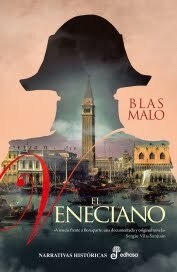 Mystery stories set in History may present some problems: if you try to seem so historical, maybe the reader don´t enjoy the thriller; but, if you write a very modern mystery, you can result anachronistic. I think, you and Gordianus achieve a very natural balance, but what do you think about that question anyway? I always begin with the history—with some big event, like the slave revolt of Spartacus (in Arms of Nemesis)—and then I look for a way to create a mystery plot (because I love a murder mystery), using actual places and people as well as fictional characters. The history and the thriller plot should work together, as should the psychological themes of the novel. If it is all in balance, it should seem very real to the reader—exotic but somehow familiar, far away in time but still compelling and alive. The dead past seems to live again, transcending time and death—what could be more wonderful than that? When you write these kinds of novels, Is Umberto Eco and his Name of the Rose the main guide? Certainly, The Name of the Rose was a direct inspiration when I wrote the first novel, Roman Blood. Umberto Eco did not create the historical mystery, but such books were not common at that time, and his book was very successful both artistically and financially, and in many countries. When I began Roman Blood, inspired by an actual murder trial with Cicero for the defense, no one else had written a murder mystery set in ancient Rome, so I hoped not only to follow Eco’s inspiration but also to do something new. At almost exactly the same time, Lindsey Davis wrote the first of her Falco novels, which became very successful in England. Do you read other authors similar to you? What do you think about the novels of Lindsey Davis or David Wishart? I actually do not read my fellow novelists who set stories in ancient Rome, for two reasons. First, I do not want to unconsciously steal ideas, or pick up any inaccurate ideas that might be in their books. And second, at the end a working day writing about Rome, I want to relax with a story far from Rome, like a good Scandinavian mystery. Rome is my job during the day, so for entertainment I go elsewhere. It is not an accident that the Gordianus series is set in an era before Christianity, so I do not have to deal with Christian morality at all—it does not yet exist. As much as possible, I want the characters to think and act from a pre-Christian psychology. It is always interesting to see how they are like us, or unlike us. For example, they accept slavery without question, which is appalling to us, but they also accept homosexuality without question, a subject of so much controversy in my lifetime. Are Roma and Empire your best and most ambitious works? In many ways, yes. It has been a great challenge to weave a story that follows a family through the first 1000 years of Roman history (in Roma), and then through the era of the first emperors, from Augustus to Marcus Aurelius (in Empire). But now I am dealing with an even greater challenge, working on the third novel in that series, because that book will span the time from Marcus Aurelius, the philosopher-emperor, to Constantine the Great, the first Christian emperor. This is a time of much chaos and enormous change. How and why did the Pagan world end, and the Christian world begin? What was it like for the people who lived through such a time? But, after writing so many novels over so many years, I enjoy a new challenge, and this book will require all my skills as a researcher and as a novelist. Why do you decide to write this two novels? It was my publisher in England, a wonderful man named Nick Robinson (who is no longer alive), who invited me to his flat in London and over cocktails suggested I write a “big book”—something one a much larger scale than the Gordianus novels. I thought of the genre created by James Michener and continued by Edward Rutherfurd, where a certain place or a great city itself is the main character of a story that spans many lifetimes, and realized that no one had written such a novel about Rome. Thus the idea for Roma was born. No story was more important to me when I was young than The Lord of the Rings. I love it so much, and Tolkien’s achievement was so great, that I never thought to write fantasy myself—Tolkien has already done it. But when I came to write historical fiction, I wanted to do the same sort of “world building” that Tolkien did, creating large stories with an enormous background—but my background is the actual world of ancient Rome, with its myths and legends. As an American, Do you think that you have a different vision of Ancient Roma than, for example, Europeans writers? Almost certainly. Anyone who writes historical fiction is seeing the past through a certain lens, influenced by his own place and time. I grew up during the height of the American empire, so that must have an influence on me, which is different from a writer who grew up, for example, in Communist Hungary, or modern Italy, or Spain. 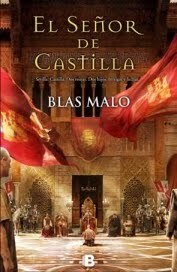 Do you read any Spanish writers? Some of the greatest Roman writers were born in Spain, of course—Seneca, Martial, Lucan. I’m afraid I don’t know much about current Spanish literature, though in my university days I read García Lorca, Santayana, and of course Cervantes and what we call in English “The Lay of the Cid.” Also, one of the most interesting historians of the ancient world today is a Spaniard, Leonardo de Arrizabalaga y Prado, who also writes in English. His book The Emperor Elagabalus: Fact or Fiction, published in 2014, is a revolutionary approach to one of the most mysterious Roman emperors, absolutely brilliant. Are you sure there wont be more Gordianus the Finder novels? And, if it is true, What are your plans for future? As we say in English, “Never say never!” Perhaps I will return to the younger Gordianus, because I think he visited Jerusalem after the events of The Wrath of the Furies, and there must be in interesting story there. But for now all my energy is focused on the next novel in the Roma and Empire series.